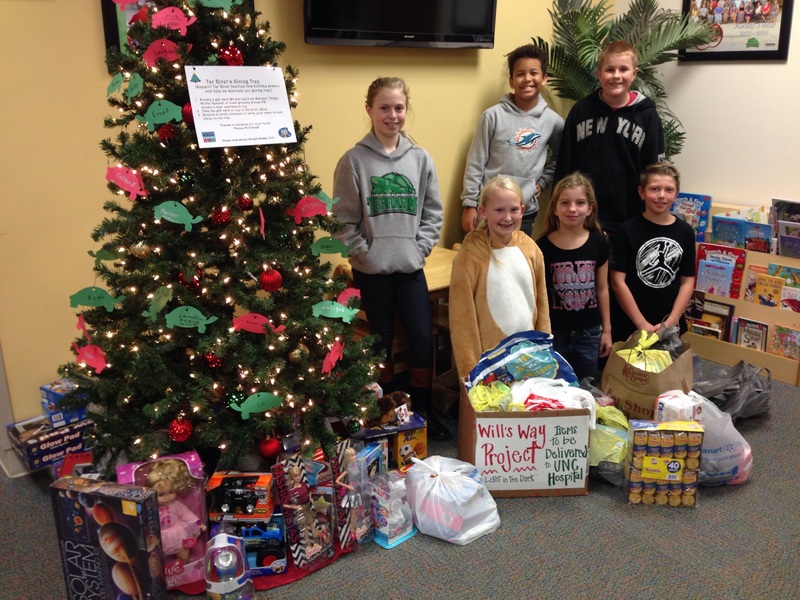 Our Honor Society is sponsoring a community project along with our Angel Tree this year. We would like for you to help with Will's Way Project. We will be collecting items for parents and caregivers of children at the UNC Children's Hospital to be delivered on Christmas Eve. These families spend many days in the hospital and sometimes do not have the time to leave to retrieve items that they may need. These kits that will be created will be available to these families in their time of need. Thank you for giving to this worthy cause. individually wrapped snacks, Chips, crackers, etc. Donate gift cards of $5 and up. We ask that you purchase gift cards from Walmart, Target, Dollar General or local grocery stores. Please be sure to write the amount on the gift card. Donate a toy for a student in need. We ask that toys be new and unwrapped. When: Gift cards or toys can be donated from Monday 11/27 to Monday 12/11. when you donate a gift card or toy, you will be given a turtle ornament to wrtie your name on and place on the giving tree. Thank you for recognizing the true meaning of the season and giving what you can! Tar River is ready to be the Defending Champs from last year's Spellebration, Jr. We have three strong teams ready to compete! We invite everyone to come out to support them at the event and cheer them on. Thursday, Oct. 26th, 6 pm, Butner Stem Middle School's gym. Good Luck and let's bring home that trophy again!! 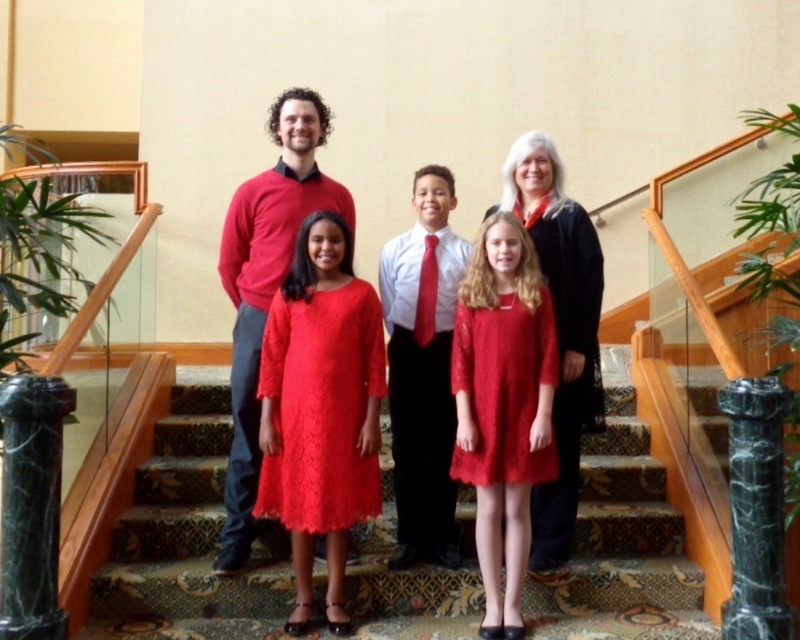 We had 2 students to be chosen for the North Carolina Honors Chorus this year. They are Jana Tackema and Grayson Gaul. They attended the event in Winston Salem, NC the first weekend of November. 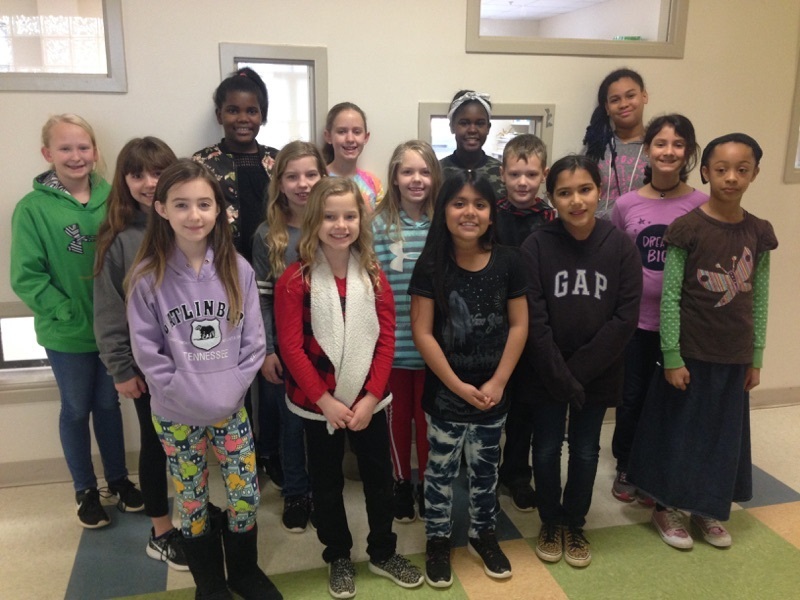 We are proud of their hard work and them representing Tar River Elementary. With help from the Students and Staff we raised $1,123.86! Thank you to our Chair people, Lisa Slingerland and Pam Lund for doing a wonderful job of organizing our fundraisers! Our Coin Drive raised over $263!!! For reaching $100 Mrs Robbins has volunteered to wear the Terrapin Costume for a whole day and since you reached $200 she will now also dye her hair Teal and because we passed $225 Ms. Jordan will also dye her hair teal! Thank you for your generosity!!! The Week of October 16th students can donate $1 and that donation will allow them to attend a dance during their club time the week of October 24th - 30th. They can give their $1 donation to their classroom teacher. 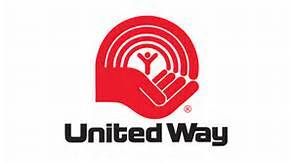 THANKS FOR SUPPORTING UNITED WAY! "Tar River is excited to announce that we will be offering the boys version of Girls on the Run this year called STRIDE. 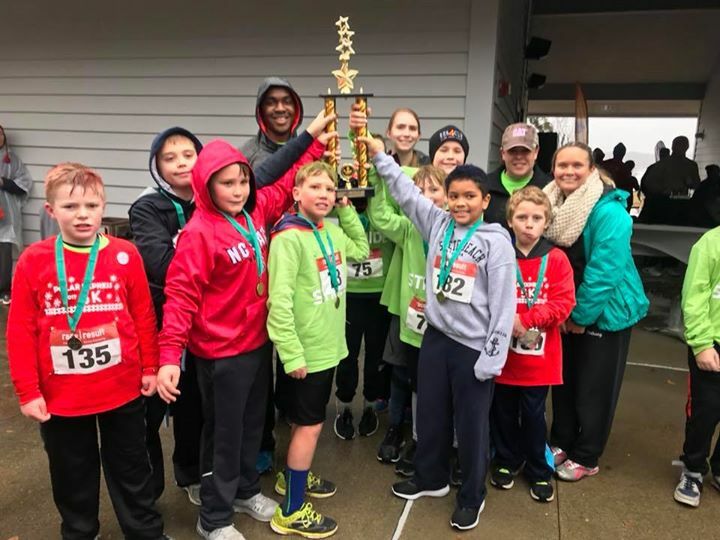 Stride is a program for 3rd-5th grade boys in which valuable life skills are taught to encourage growth socially, psychologically, and physically. While learning these skills, boys will build endurance to complete a Polar Express 5k that will be held on December 9th. Season Begins Sept. 25th and meets every Monday and Thursday after school. Polar Express 5K - Dec. 9th. CONGRATULATIONS TO CHLOE HENDERSON FOR WINNING OUR SPELLING BEE AND NAIMA CHARLES FOR BEING OUR RUNNER UP!!! GOOD LUCK TO THEM BOTH AS THEY MOVE ONTO THE COUNTY BEE MARCH 27TH! Our Spelling Bee is scheduled for March 6th at 6:30 pm. Congratulations to these students and Good Luck! This year our county will be hosting a County Bee. Each Elementary School will be sending their winner to compete. This Bee will be held on March 27th. The winner of our County Bee will then travel on to the National Bee in Washington, DC. Congrats to our PTSO for entering the BJs Box Tops Education Sweepstakes sponsored by General Mills Sales, Inc. They were informed that they won $500 in the contest to be used toward our school. Thank you to Amanda Hild our PTSO Box Tops coordinator! The Coin Drive Raised $585! Thank you for Supporting Relay for Life! Let's Help Cancer Research Grow! Next week, from April 30th - May 4th, the NEHS (National Elementary Honor Society) is going to be collecting loose change for Relay For Life. There are two opportunities for you to donate to this coin drive. 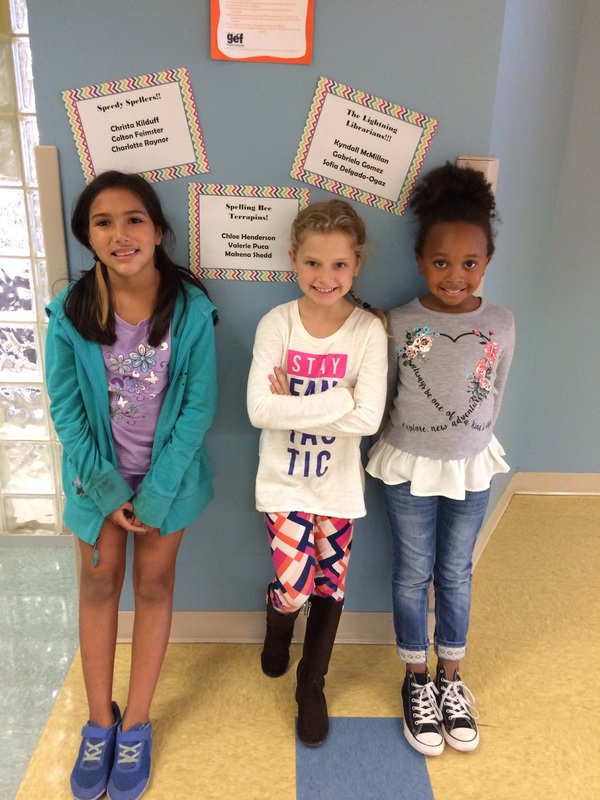 Each morning, NEHS students will go to classrooms to collect change from students who would like to donate. In the afternoon, NEHS students will be collecting change during carpool. (Dollars or checks made to the American Cancer Society will be accepted too.) Anyone who donates to the cause can sign a "raindrop" to be placed on the display in the front of the school. Be sure to watch how your support grows over the week.